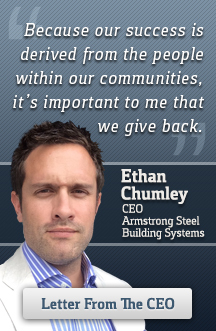 “This award is meaningful to us because it represents that our home state of Colorado recognizes our contributions as an employer and a company which aggressively contributes to the economy and the community,” said Ethan Chumley, CEO and founder of Armstrong Steel. DENVER - Armstrong Steel Building Systems is pleased to announce that the company has joined the ranks of other Colorado Companies to Watch in 2014, an award presented by the Colorado Office of Economic Development and UMB Bank. Colorado Companies to Watch energizes the state of Colorado by recognizing second-stage companies that are developing valuable products and services, creating quality jobs, enriching communities, and creating new industries throughout the state. Second-stage companies fuel the economic fire of Colorado by accounting for much of the economic growth and economic independence of individuals throughout the state. These companies possess attributes such as being growth focused, privately-held, headquartered in Colorado, 6 to 99 full-time equivalent employees $750,000 to $50 million in sales or a similar range of working capital. At the time of the awards ceremony in June, Armstrong employed roughly 120 employees. However, the company was nominated at the beginning of 2014, when it had less than 99 full-time staffers. This further illustrates the rapid growth which contributed to judges declaring Armstrong Steel a Colorado Company to Watch. 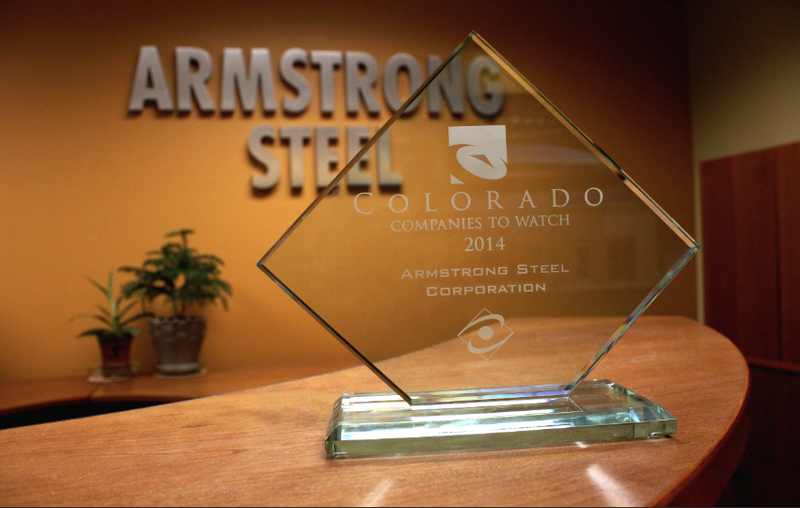 The Award was presented to Armstrong Steel at a gala event which was held on June 20th in Downtown Denver. “We’ve won national awards, and we’ve received recognition in the industry, but receiving recognition from our home state of Colorado holds a special place on our award wall because, as Coloradoans, we work hard to build community, first, at home,” reminds Chumley. In the fall, Armstrong Steel will host a private event, opening its doors to business and community leaders, politicians and the public, when people can come and see, in person, the impressive corporate operations of one of the nation’s largest OEM steel building suppliers. Other winners of the award for 2014 include Clear Peak, Dry Dock Brewing Company, and Emergenetics International.